Roaming animals seem to have been a nuisance for Eatonville residents from the start. 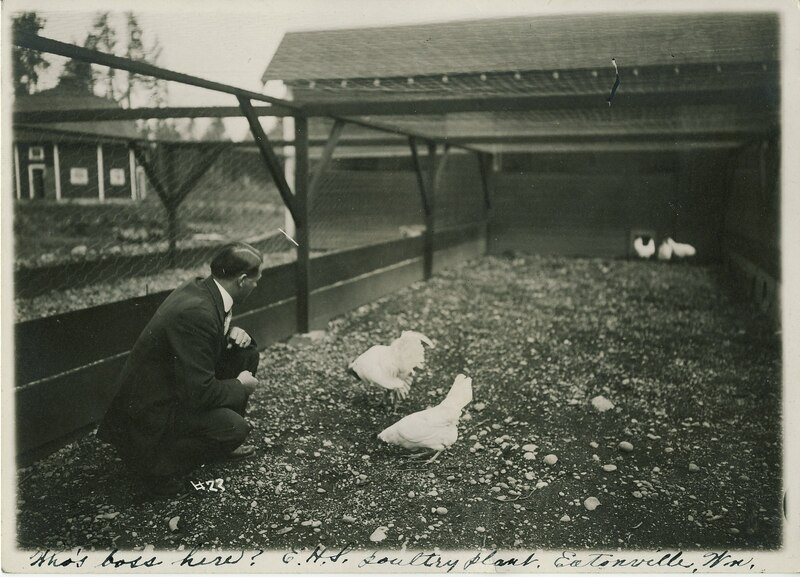 In March, 1911 Eatonville passed a Chicken Ordinance, keeping folks from letting their chickens roam at large. 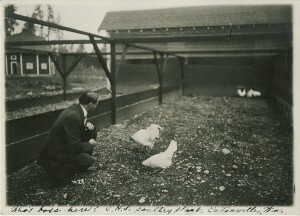 People must not have taken the ordinance too seriously, because in February, 1913, the Clerk was instructed to publish a notice in the paper telling people when the “ordinance to prevent chcickens running at large would be in force.” In 1947, the issue came up again. Eatonville also had a “Horse and Cow Ordinance”. In March, 1911 the ordinance was amended to allow cows to roam during the day. In August 1911, Mr. Rivers was up in arms because many of the cows roaming at night wore bells and were disturbing the sleep of the Eatonville citizens. A resolution was passed making these cows a public nuisance and the town’s Marshall was required to go out and notify the owners of said cows. Information taken from History of Southeastern Pierce County. Photo courtesy of Pat Van Eaton. Except from Firm Foundation: The Formation of Eatonville, Wa. Thanks. I wish I had a transcript from the guy who came in complaining about cow bells. And I noticed in the records that horses and vehicles has to close to 6 miles per hour. That must have been a mess during the transition of horse to car. The worst though . . verifying rat kills. Could there be a worse job. I think they made a TV series about the rat problem..”The Rat Patrol” HAAA :<)) I wonder what it was like cruising the gut back in those days ? Did guys ride their horses up and down Mashell Ave, looking cool ?